Within the Signal festival 2018 we will be awaiting you every day from 11th until 14th October, from 5 to 11 PM at NEON FOOD LOUNGE with UV food, unique UV installation and mainly with our Tablemapping! You will experience a mystic atmosphere. 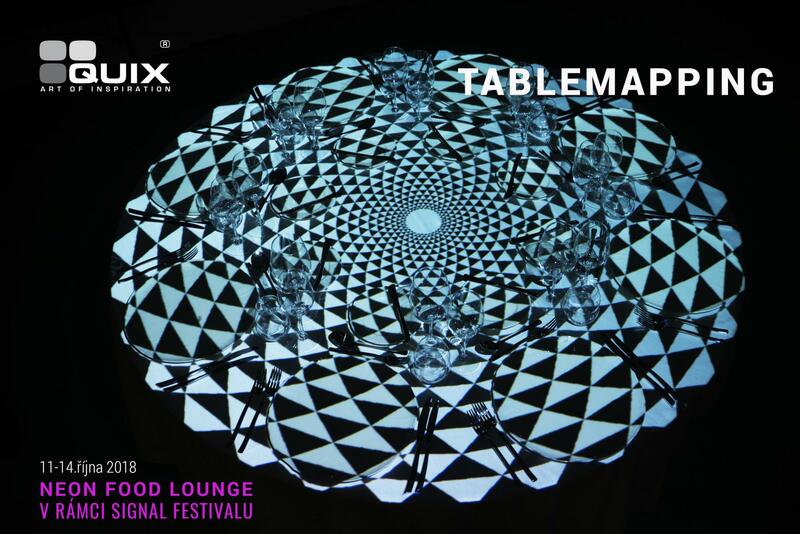 Beside UV food you will get to know the Tablemapping - a vizual projection on tables. Other show will be played in the central bar with UV everything - panna cotta, popcorn, jelly cake or ice cream but also beverages - bubble tea or prosecco. Food price starts at 50 CZK. For paying please use coupons bought at a hostess in front of the entrance. 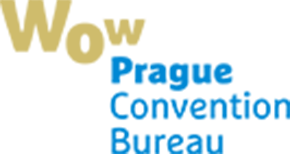 one coupon = 50 CZK. More information at our Facebook. QUIX EVENT AWARDED AS THE BEST EVENT OF 2018! 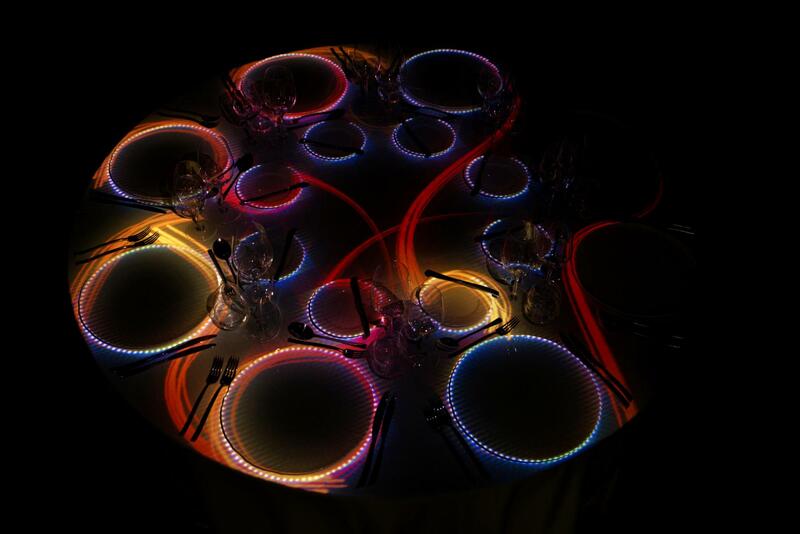 Our table mapping dazzled event specialists from all the world!